wist and shout is the most covered song by Bruce (417 times). The song was performed during all tours of Bruce except the solo acoustic tours and the Seeger Sessions tour. Mostly used as closing song of the show. The intro sounds very similar to " La Bamba " by Ritchie Valens, and the famous vocal buildup resembles that in " Do You Love Me " by the Contours. So Bruce includes "La Bamba" many times in the introduction. First know performance of 'twist and shout' with the Rogues opening for The Chevelles. One show, double bill, with The Castiles headlining. In his 2016 autobiography Born To Run, Springsteen described this as The Castiles' first gig. "Twist and Shout" includes a brief and unique version of "Farmer John". The concert is a benefit for the Vietnam Veterans of America Foundation and the first night of six in Los Angeles. First time "Do You Love Me" is segued into "Twist And Shout". Southside Johnny guests on "Twist And Shout". "Twist And Shout" includes a line from "Let's Go, Let's Go, "Let's Go" along with the usual "Do You Love Me" segment. "Twist And Shout" includes a couple lines from "It Takes Two"
Notorious show that led to the stadium requiring serious repairs. The rhythmic movement of tens of thousands during "Twist And Shout" nearly led to a structural collapse of the venue, which rests on a layer of clay. After the concert the concrete pillars supporting the stadium were extended to bedrock. 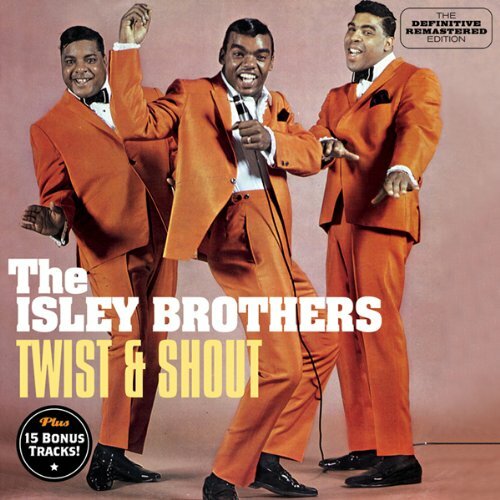 "Twist And Shout" includes a snippet of "I Don't Want To Go Home". "Twist And Shout" includes "Do You Love Me" and "Having A Party". Performance of Twist an shout in East Berlin, East Germany. The song includes snippets of Ritchie Valens's La bamba and Sam Cooke's Having a party. This show was partially broadcast on East German television and radio. Oddly, the concerts was announced by the promoters as a "Concert for Nicaragua" , which upset Springsteen and prompted him to give his infamous German-language speech prior to Chimes of freedom about "not being here for or against any certain government, but to play rockand roll for [you] East Berliners... in the hope that one day, all barriers will be torn down." 1988-10-03 - OLYMPIC STADIUM, ATHENS, GREECE . First time that Springsteen has played in Africa. Bruce's only performance in Zimbabwe to date. A certain amount of controversy surrounds this show, played at a Chinese-built sports stadium in the Zimbabwean capital. Reports suggest that Zimbabwe issued an estimated 20,000 visas to South Africans, and the end result is that perhaps 80 percent of the crowd is white. Secondly, the local promoter sourced the sound system from South Africa, which is still in the grips of apartheid. The performers discovered this while in India, protested, and as a result the promoter is forced to locate another system from elsewhere. Generally, it could be said that the show is a success, however at midnight (during Springsteen's set) the stadium lights are switched on, compelling thousands of the vast crowd to head for the exits and ensuring that the show closes with a bit of a whimper. Guest artists are Zimbabwean musician Oliver Mtukudzi, Ilanga, and Cde Chinx. Bruce's first appearance in the Ivory Coast (Cote D'Ivoire) and his only performance there to date. Johnny Clegg and his group Savuka and the trio Ismaël Isaac et les Frères Keita also play at this show. Bruce's first appearance in Brazil and his only performance there until 2013. The local guest artists are Brazilian singer-songwriter Milton Nascimento and American jazz guitarist Pat Metheny. Last show of the Amnesty Tour broadcast worldwide live on the radio. 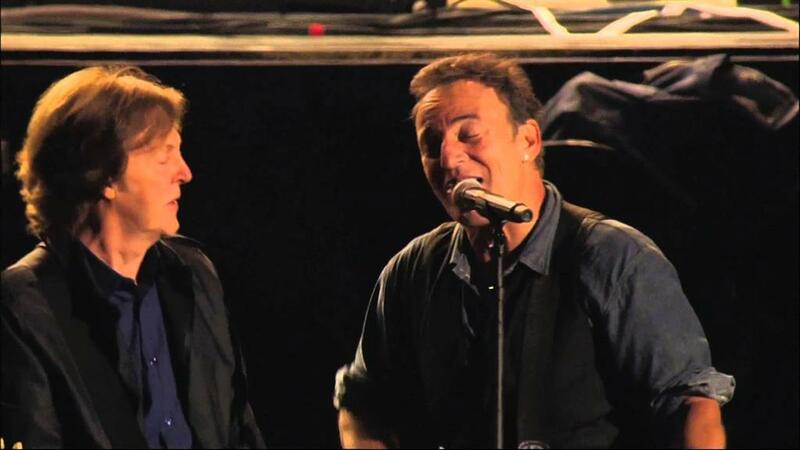 All four artists join Bruce not only for "Chimes Of Freedom" and "Get Up, Stand Up", but also for "Twist And Shout". The song includes snippets of Sam Cooke's Good times at the beginning and in the midsection. It features a guest appearance by Warren Kaye (the tour's security coordinator) on vocals and John Landau on guitar. Jesse Malin and Dave Bielanko of Marah guest on "Twist and Shout." Robbin Thompson guests on "Twist And Shout" on shared lead vocals and guitar. Thompson was asked to join Steel Mill in August of 1970 by Bruce Springsteen who wanted to expand their vocal ranges and share some lead singing with him. Thompson first performed with the band on August 25, 1970, and remained for the rest of the band's existence, a short duration of approximately five months. Springsteen decided to leave Steel Mill and start a new band in January of 1971. Thompson returned to Richmond where he embarked on a fruitful career as a songwriter and band leader. He also owned and operated a recording studio called "In Your Ear Music and Video Productions". Thompson died from cancer on October 10, 2015. "Twist And Shout" includes not only the "La Bamba" section but Bruce and then Steve singing a couple lines of "Killer Joe" in the midsection, reminiscent of the use of the song during "Twist And Shout" during the last shows of 1975. "Twist And Shout" includes an instrumental snippet of "Louie Louie" as well as the standard "La Bamba" segment. "Twist And Shout" includes Charlie playing a snippet of "Brahms's Lullaby" in the midsection as well as the standard "La Bamba" segment. Bruce and band return to the Hard Rock Calling Festival in Hyde Park with a fine show and a farcical conclusion. The final guest for the evening is Paul McCartney, and together they play "I Saw Her Standing There" followed by a raucous "Twist and Shout". Unfortunately, despite only being a few minutes over the 10.30pm curfew the concert organisers choose to cut the sound at the conclusion of "Twist And Shout", and as a result Bruce is unable to play a final song, nor is he able to say his farewells to the crowd. Instead he sings a brief a cappella, unamplified "Goodnight Irene" and leaves the stage. As a result, this is the first show of the tour to not include "Tenth Avenue Freeze-Out." Steve took to Twitter following the show to express his disappointment and anger, while Bruce commented "I wasn't aware the plug had been pulled, and people couldn't hear what I was singing. Afterwards I said to Paul, 'I can understand them pulling the plug on me, but you? Aren't you a knight?'". ……So then they go to 'Twist And Shout', and I'm singing it, and someone had whispered 'We haven't got any time, we can't do it', but it was so nice, Bruce is going 'Yeah, come on, man' and Bruce is you know, he's a do-er, a go-getter, so I was happy. 'Yeah!'. We're rocking away, all our monitors stayed on, so we weren't really aware that the plug had been pulled on the audience, that you see on the youtube later, it's all gone dead. And he is singing, he's gonna then go back and sing ' Good Night Irene', which I think was all dead, but we had a laugh again. You've gotta have a laugh, it would just be so terrifying if you didn't, so we just had a laugh afterwards, I was just apologetic like 'I'm sorry, man, only in Britain!'. It's the only place… You can't imagine in New York somewhere like that, them pulling the plug, and it got everyone of course, so that was the big story. Everyone in America was going to me 'Is it true, man? They pulled the plug on you and Springsteen?! ', and I'm saying 'Yeah, well, you know, just some guy. Some bloody jobsworth…'"
Opening night in Dublin starts hilariously. Bruce (aided by Steve) drags a giant electrical switch to the front of the stage, turns it to "ON" and says, "Before we were so rudely interrupted..!" (referring to the previous show in London) and play the last minute or so of "Twist And Shout"
"Twist and Shout" is a 1961 song written by Phil Medley and Bert Berns (later credited as "Bert Russell"). The song was originally recorded by the Top Notes. It first became a chart hit as a cover single by the Isley Brothers in 1962. "I'd just like to say one thing….I appreciate it….and it's a hard night to come out and play tonight when so much has been lost….the first record…the first record that I ever learned was a record called ‘Twist and Shout’ ..and if it wasn't….if it wasn't for John Lennon, we'd all be in some place very different tonight …. it's….it's an unreasonable… world and you have to live with a lot of things that are just unlivable …. and….it's a hard thing to come out and play but there's just nothing else you can do".